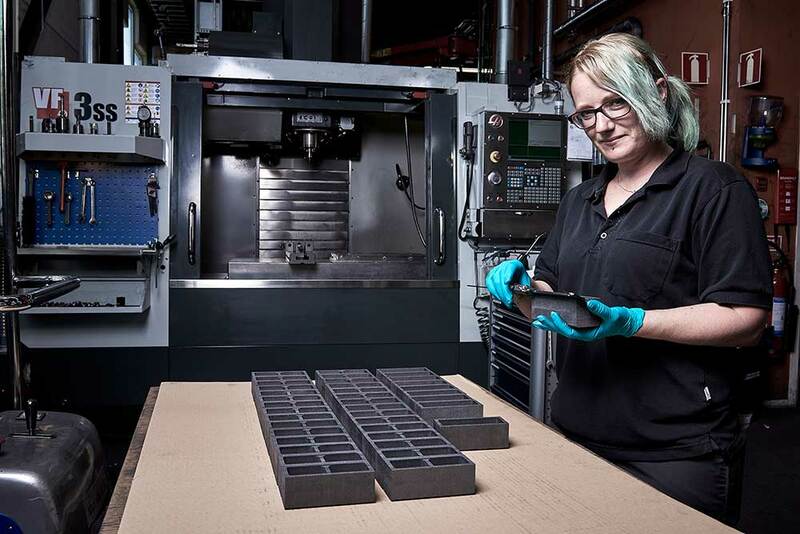 Our staff are qualified to answer the questions asked by our customers, whether it’s machining graphite according to a specified drawing or developing a new product. Our production equipment is geared to tooling graphite and is actually on of the most well developed within our industry. Turnaround time is short which means that Svenska Tanso is able to ship what you need rapidly. Our sawing and grinding department is equipped with manual as well as automatic machines. Maximum cut dimension in our saws is 800 x 1350 x 2900 mm. The maximum grinding width is 850 mm. Turning department consists of several CNC lathes and many of them with driven tools. We are able to process details with a diameter of Ø 1 080 mm and a length of up to 4 000 mm. We have a large number of CNC milling machines with varying work areas. Maximum travel distance is 2 530 x 813 x 800 mm. We perform measurement in CNC Coordinate Measuring Machines and provide test records on manufactured parts. Among our other manufacturing capabilities are, lapping, waterjet cutting and 3D-laser milling and more.